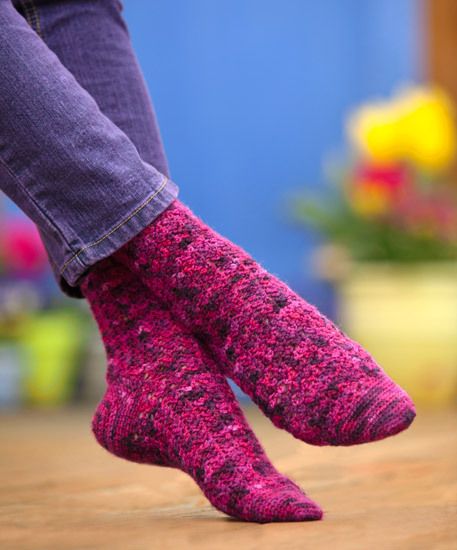 Now that crocheters have discovered how comfy crocheted socks can be, they're hooked! 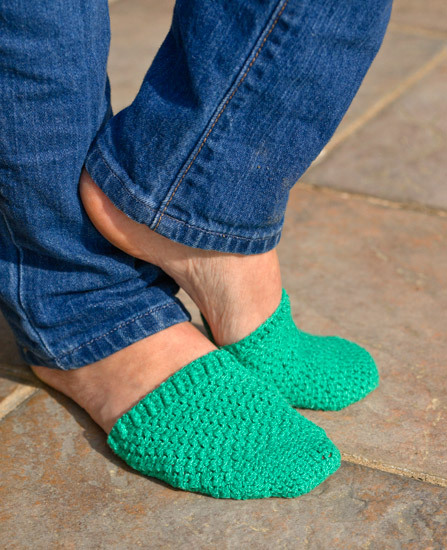 To keep up with the demand, this follow-up to the popular Crocheted Socks! presents an all-new collection of 16 appealing patterns. Download the free bonus pattern, "Lace and Ridges", designed by the author! 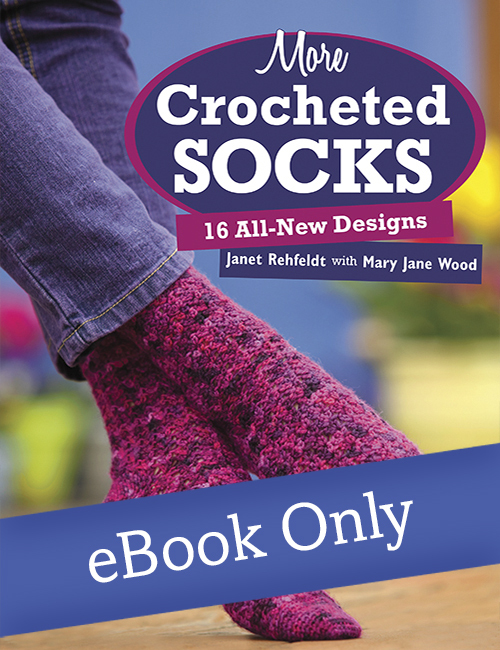 Several designs in Janet Rehfeldt’s new book, More Crocheted Socks, grabbed my attention. I was a little hesitant to give crocheted socks a try. But Rehfeldt’s comprehensive information in the “Sock Basics” section and her step-by-step directions changed my mind. The variety of sock designs included makes this book an easy choice. “Beaded Lace” and “Victorian Day Dream,” two pairs of particularly elegant socks, are among my personal favorites. Thanks for hooking me to the world of crocheted socks! Socks are not just for knitters anymore as proven by this wonderful book. The wonderfully unique texture created by crochet is beautifully showcased in even the simplest of socks. With 16 fantastic designs ranging from simple to lacy, you might have difficulty deciding which pair to crochet first. Janet Rehfeldt has been knitting and crocheting since the age of seven. She is the owner of Knitted Threads Designs, LLC. As an instructor, designer, and author, she teaches on both a local and national level. Her work has been featured in magazines such as Cast On, Crochet Today!, and Crochet! as well as in several Martingale publications.